Padma wrote: We often take our children with us! They are now not quite as young as when they first came with us to Hydra - and, a few years ago they came to Krakow with us and loved every minute of it. Depending on how young they are, I would suggest you take them with you! Besides the question whether we are taking our children along is no longer relevant. Any of the grandma's couldn't travel with us, so we don't have a babysitter even for the concert night. So we sadly can't make it either for the meet-up or the concert. I actually sold the tickets already. Our members will arrive according to their own travel schedules - the first ones very early, the last just a moment before our Dinner. Therefore I have programmed some meeting points during our Helsinki Tour so that you may join (or leave) us whenever you want!!! Please don't be late - we will start at 10.30, and first walk to the Market Square (Mannerheimintie - Pohjois Esplanadi). 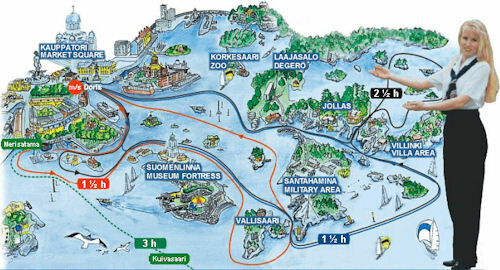 CRUISE AROUND HELSINKI AND ARCHIPELAGO (90 minutes) at 11.30 (we have to get tickets by 11). 15 eur per person if we have 10 members, otherwise 17 eur. Lunch available on board (12 eur). Our cruise is marked with a blue line. In case of bad weather we will decide what to do. 2. YOU MAY JOIN US after the cruise at 13.00 at the STATUE OF HAVIS AMANDA next to the Market Square! 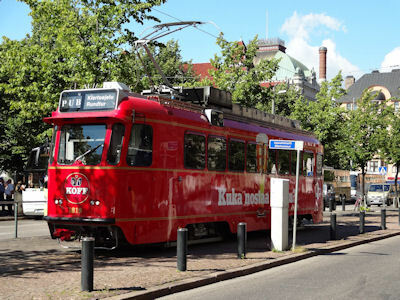 We will walk to the Railway Station Square and take a tram trip around Helsinki (40 min) onboard a very special Pub tram! The trip costs (with my bonus card) 6 eur. Beer and wine available onboard. The drive is very popular and the tram is small - we have to get to the tram stop by 13.30 to get tickets! 3. 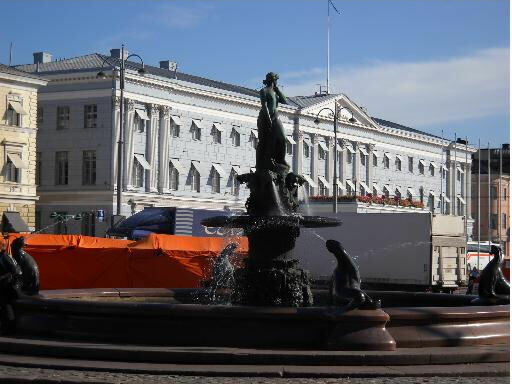 YOU MAY JOIN US at the Mannerheim statue at 15.00 (see # 1) for a walk around the city center . We will have a coffee break under way. Max 2 h.
4. DINNER at Restaurant Alexandria at 19.00 , Katajanokanlaituri 5, very close to the Market Square and President's Castle. After the dinner we probably go to a pub to have a beer or something. 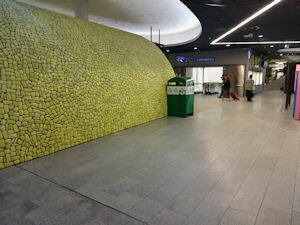 We will go to the city of Porvoo (outside Helsinki, 1 hour by bus, 11,40 eur per drive) to see Leonard's Art Exhibition! Come early - the bus does not wait! 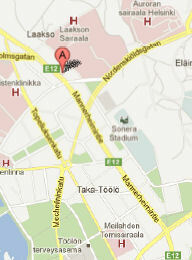 From the Sonera Stadium, just go to the main street Mannerheimintie, follow it 200 m to the right and the pub is there! It will be open until 2.00 - note that it may be pretty crowded after the concert. So, a lot to do and see. Let's hope that we will have reasonable weather! If you arrive already on Friday, please contact me, we may have plans also for that night. See you guys in Helsinki!!! The official ticket seller http://www.lippupalvelu.fi has still a limited number of tickets. Please let me know if you come to the dinner. No reservation needed for the other activities. Thank you very much for the info. I've now booked tickets to Helsinki Stadium (Im quite proud of myself as I couldn't seem to translate to English so did it all in Finnish!). Now I'm just booking hotel. Yes, please include us for the dinner - do you need a deposit? No deposit needed - I only need to know the approximate number of people coming. We can't get exact number because we may (or may not) have some surprise attendees as well. Everybody selects food and drinks from the menu and pays directly to the restaurant. your language selection on the right on the front page (before searching the artist)! 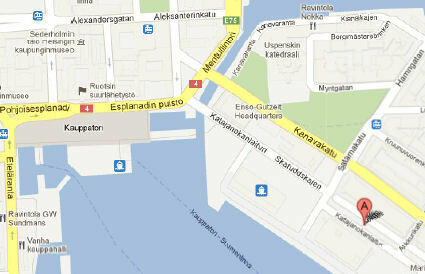 In the map below you will find some of our meeting points for the Helsinki walking tour and the trip to Porvoo. 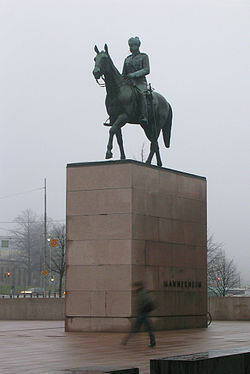 The upper black point (next to KIASMA, the Museum of Modern Art) is the statue of Marshal Mannerheim. The other black point is the central bus station, Kamppi - it looks like a big shopping mall (and also is!). To get to the Porvoo bus, you will need to go one level down. Those of you who stay at Hotel Scandic Simonkenttä: the bus station/Kamppi Mall is located next to the hotel. Just go down to the square (Narikkatori) in the back of the hotel!!! Adam and his favorite painting. 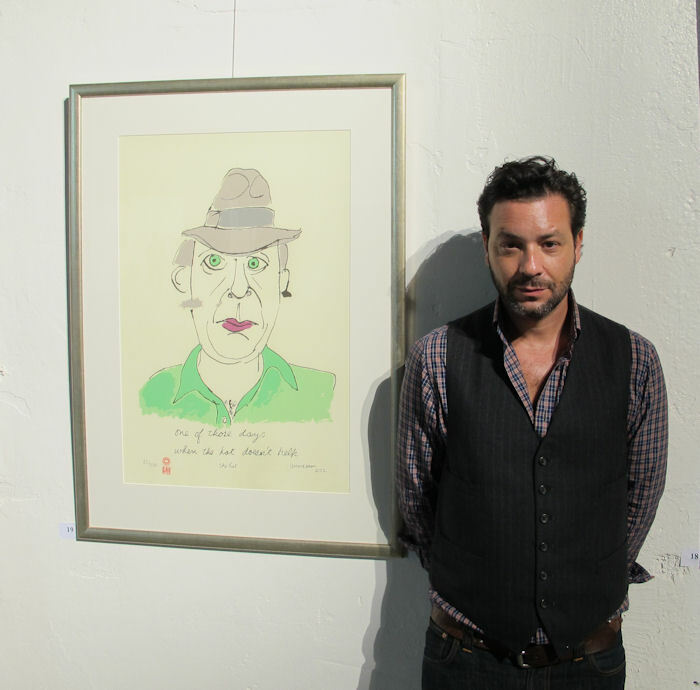 He opened yesterday Leonard's Art Exhibition in Porvoo, Finland. Next Sunday we will go together to Porvoo to see the art exhibition! Unfortunately, I won't be able to join you at the meet-up but I have a question, I hope this is the right place to ask. What's the best way to get to the Stadium from city center? Is it a good idea to take tram 7A? The nearest stops are 'Töölön halli' or 'Kansaneläkelaitos'. You'll get there on trams 4, 4T, 7A and 10. 3T takes a bit longer route. But we were able to do the cruise and pub tram drive before the rain, and this evening 52 of us had great time at Restaurant Alexandria! Now looking forward to the art exhibition in Porvoo and the concert! 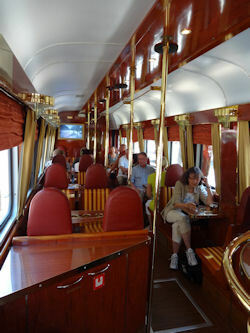 jarkko wrote: But we were able to do the cruise and pub tram drive before the rain, and this evening 52 of us had great time at Restaurant Alexandria! Now looking forward to the art exhibition in Porvoo and the concert! ....some time later: my neighbour will join me for the concert, so the ticket I offered isn't available any more! I'm looking forward to the concert! I would like to take this opportunity to thank Jarkko, Eija and Sinikka for all their hard work, firstly to organise our weekend in Helsinki and secondly, for guiding us so expertly during yesterday and today. As Jarkko mentioned, we took a boat trip and tram tour yesterday morning / lunchtime and we enjoyed a lovely dinner amongst friends yesterday evening. Today, Sinikka escorted a large group of us to Porvoo where we met up with Jarkko and Eija at the exhibition of Leonard's art work. There were some suprises - some paintings I had not seen before and an Australian harp player who played and sang some of Leonard's songs whilst we enjoyed the art. We followed that with a tour of the old city of Porvoo before returning to Helsinki. Now we just have the main event to go. The clouds are clearing and we have lots of blue sky so we are hopeful we will have a nice dry evening for the concert. Thank you Jarkko, Eija and Sinikka for making all this happen for your visitors.